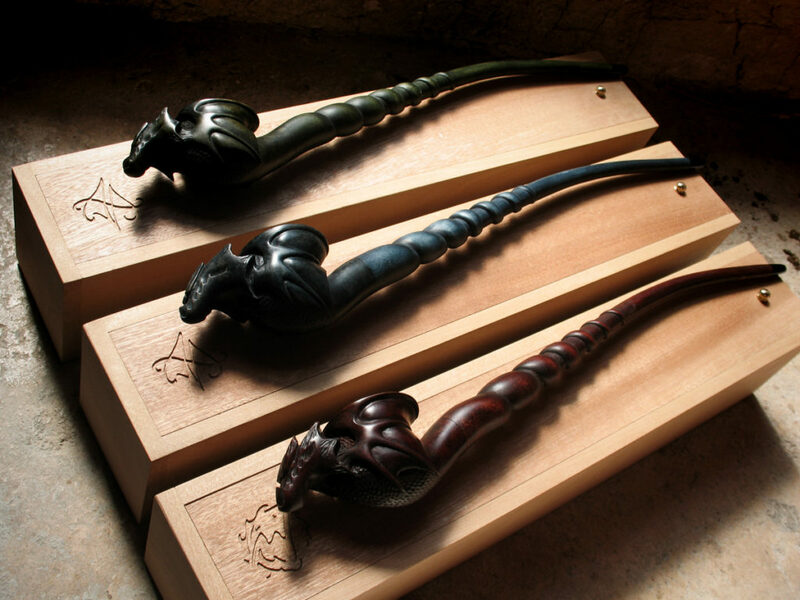 Stem Maple steam bended and spiral carved with methacrylate mouthpiece. 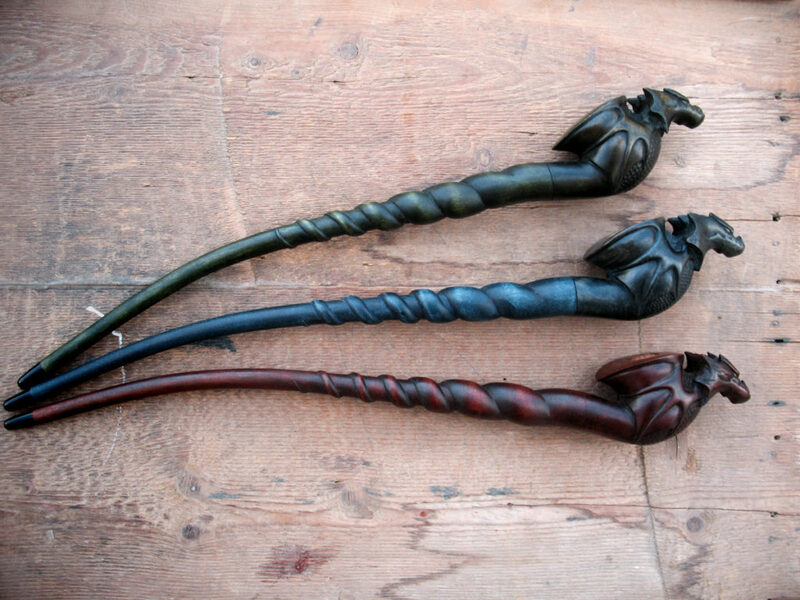 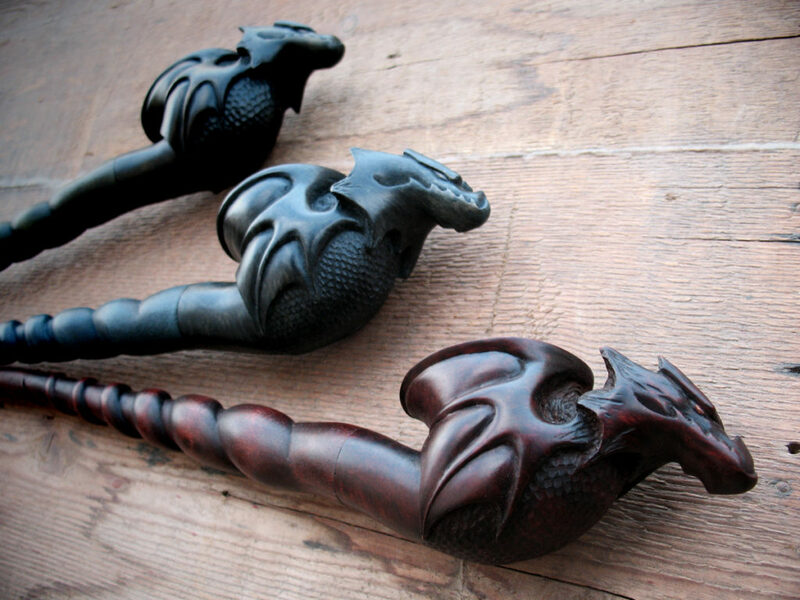 Custom order, handcarved dragon pipes. 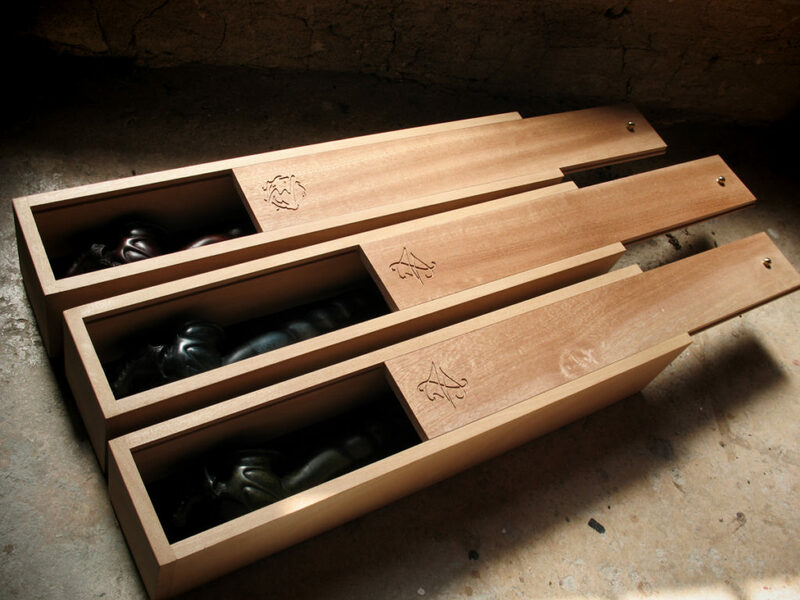 Deluxe cases in abura walnut wood with mahoghany sliding cover.